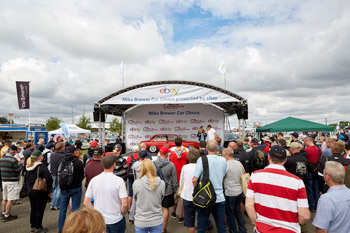 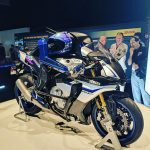 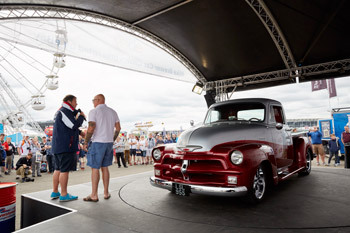 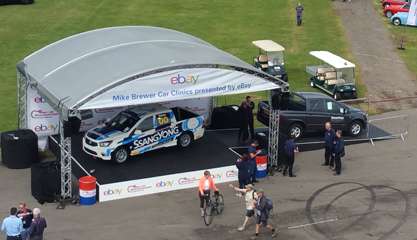 The biggest classic motor festival in the world came to Silverstone this July and Discovery’s ‘Wheeler Dealers’ host Mike Brewer held his car clinic on The Revolving Stage Company’s 5m diameter revolving stage! 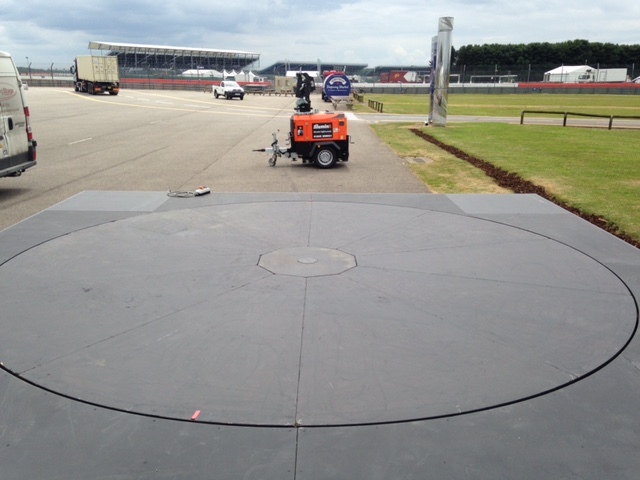 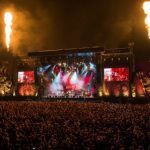 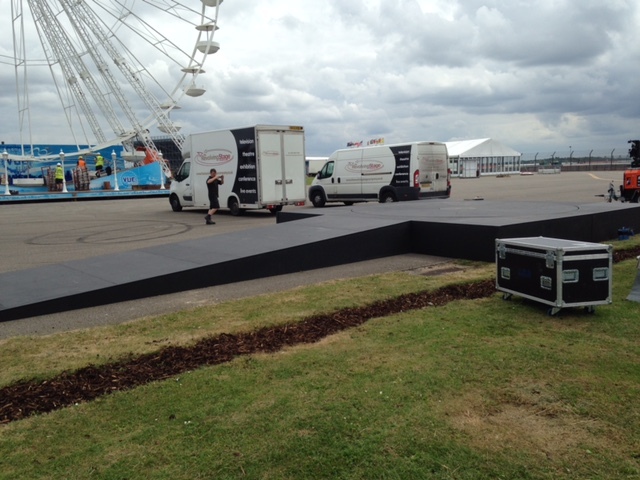 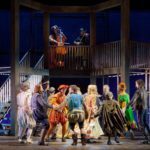 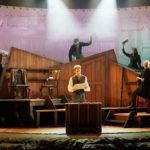 To make the stage stable on the uneven ground at the show, a sub-stage was constructed beneath the revolve and its 6.1m square surround stage. 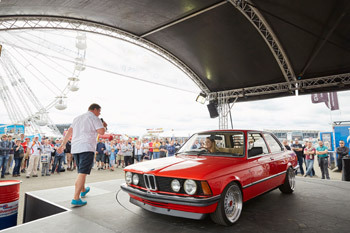 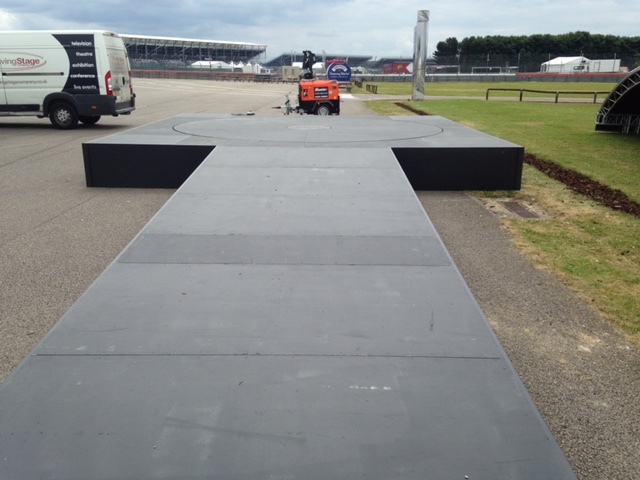 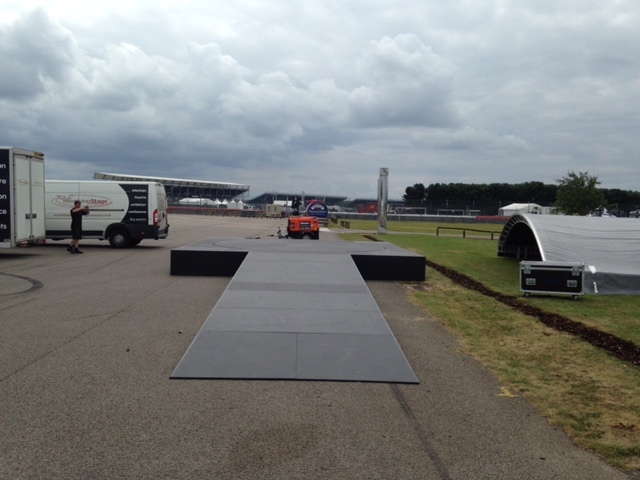 A bespoke car ramp was built by The Revolving Stage Company team that was longer in length to the norm (8.5m long) to accommodate the lower chassis of some of the older cars that participated in the car clinic.